AvaTrade is one of the leading, globally presented broker with over than 200,000 trusting clients worldwide. A regulated on 5 continents forex broker providing customers with sophisticated trading solutions, regardless of user knowledge or experience, by bringing the possibility to enter the market trade through numerous, adaptable platforms, tools and options. Ava as a multi-national company, headquarters in Dublin, Ireland but operating regional offices in Paris, Dublin, Milan, Madrid, Tokyo, Beijing and Sydney, as well in South Africa, Chile, Mongolia and Nigeria. Within a few short years since its launch in 2006, AvaTrade has expanded enormously, while Ava global customers executing more than two million trades a month on over 250 instruments. Markets presented at Ava ranging from FX pairs to Vanilla options, CFDs on Commodities, Stocks, Indices, ETFs, Bonds and Cryptocurrencies. It’s not a wonder that Ava has earned numerous industry awards since over 10 years of successful activity, in addition to wide support programs launched by Ava. 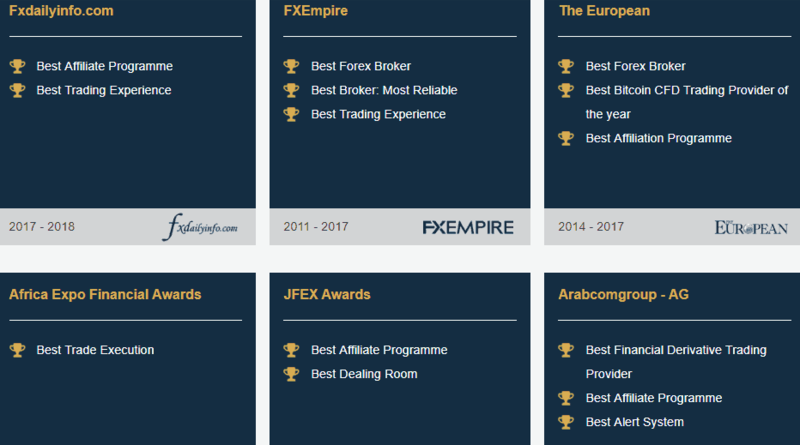 Apart of them, AvaTrade (previously known as Ava FX) was rewarded for their excellent service and the trading technology that confirm brokers strong and reputable position in the industry. Is AvaTrade safe or a scam? 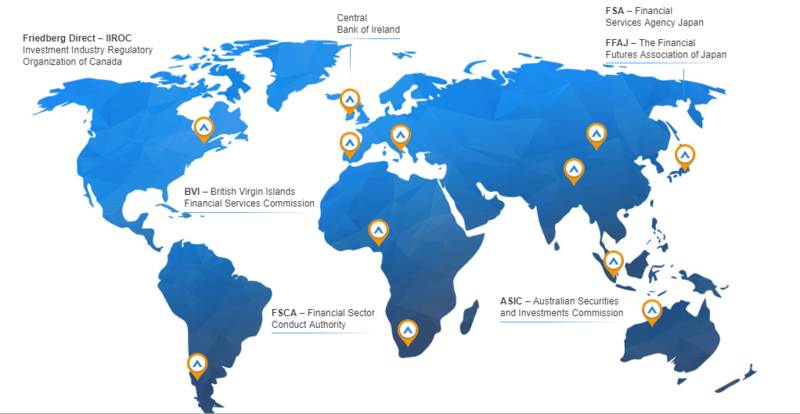 As a multi-presented company, Ava follows strict rules of the Client Asset Regulations and procedures, while obtained among the main license from the Bank of Ireland other regulations to the Ava respected entities by ASIC (Australia), FSP (South Africa), FSA (Japan) and more. Therefore, heavy regulation and obligations with internationally recognized laws keep company reliability at a certain level of trust and considered to be a safe broker to trade with. The set of regulation requirements enables protection to the clients and including – funds segregation, means all client funds are held separately from the firm funds with international banks under encryption. Security of the traders accounts with Compensation Schemes in case broker goes bankrupt, as well as fully audited trading procedures that are strictly checked by the authority on a daily basis in addition to negative balance protection. AvaTrade offering truly wide selection of trading platforms and tools, it is not an overstate that each client will find his suitable way. As part of its commitment to empower traders, Ava caters to every type or level while each of its platforms provides an option to trade manually or automatically on a variety of financial instruments. So let us take a closer look at a range of AvaTrade platforms while all of them available through Web, Desktop or Mobile Apps tailored to iOS or Android devices. AvaTradeGO – an application which AvaTrade absolutely proud of, with its simple and a wide circle of tools at the same time. The App is a friendly dashboard with advanced features and step-by-step guidance for trades opening, activity feedback and support. As well, the platform allowing management of multiple MT4 accounts or switch between demo, real and floating spreads accounts. MetaTrader 4 – still an option to use at AvaTrade. Platform is an industry leading platform, very common, very powerful, yet allows flexible trading with a full capacity of auto or robot trading. You also can switch to MT4 Floating Spreads that offering the trade with lower spreads, starting at 0.9 pips and derived directly from the market liquidity, or to choose the fixed spread. What is more, traders can choose an AvaOption platform developed by Ava and enjoy another level of visual trading of Options or FX with calls and puts, use of embedded tools and overall easy trading experience. *AvaTrade is truly one of the industry leaders in Vanilla Options. Vanilla options giving traders the right to buy or sell a specified instrument. The trader can control the instrument and the amount he trades, as well when and at what price in will be sold out. And the last but not the least, the AvaTrade Automated Trading capabilities. As a very useful and promising tool especially for new traders, the broker brought a variety of auto-trading software that enables copy or mirror the experienced strategy of successful traders. AvaTrade offers few platforms to access auto trading which includes: DupliTrade – suited for MT4 floating spreads and automatically copies the trades, ZuluTrade – one of the most popular auto trading platforms, and MQL5 – designed for MT4 terminal and enhancing signals service to auto-trade. AvaTrade does not diversify clients by the choice of account types but offers a single trading account, yet you can choose a risk-free account or a demo trading account at the beginning to practice strategies. Swap free accounts also available for Muslim traders or the ones who wish to trade markets according to Sharia principles. In addition, all clients can enjoy absolutely stunning education materials, as Ava states that inspiring and expanding horizons of traders is the main part of everyday trading life. 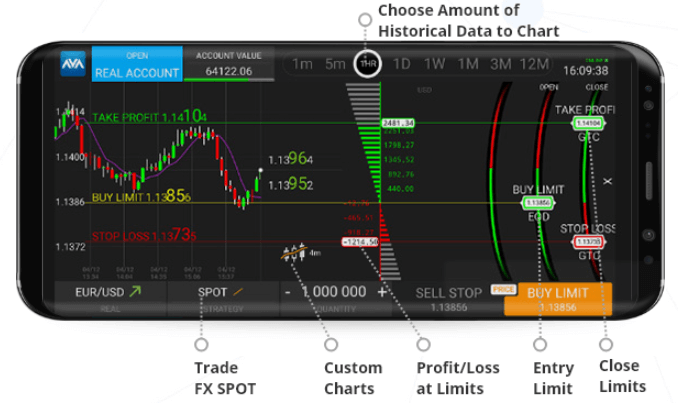 Educational segment constantly develops and features both Forex or CFDs trading information and “Sharp Trader” with premium designed unique materials, video tutorials divided by level. AvaTrade offering to work on the pairs with Bitcoin trading, Ethereum, Ripple, Dash, Litecoin, Monero, NEO, IOTA, Zcash, Qtum and more. Cryptocurrency trade supported by both MT4 Platform or AvaTradeGO, and can be used with quite competitive spreads, no commission charges, leverage up to 20:1 and ability to start trading with as little as $100. All trading transactions performed on AvaTrade platforms are subject to the trading charges that are consisting of Spreads and Overnight interest fees. See below the comparison table with a typical AvaTrade Spread, however presented as an indication only and may widen to volatile conditions, especially Cryptocurrency spreads that depend on current market conditions. Please refer to the official AvaTrade source or platform for most recent spreads. Overnight fee or interest is a fee which should be paid in case the trading position is opened longer than a day, or overnight. In this case, you should consider a small percentage that will be added above, yet, also subject to change on a particular instrument, hence may cause you even to gain on rollover. See below snap with overnight interest example. Leverage is a quite known instrument, which obviously increases the initial capital you trading with and can be a very useful tool to magnify your potential gains, but in case you use it smartly. However, always note that high leverage can work in reverse too. AvaTrade as a regulated broker complies to slightly different trading conditions or regulatory obligations according to the set of rules established by the particular authority. This means that European traders or those clients that are registered with AvaTrade European entity will fall under ESMA regulation that recently limited Leverage to maximum 1:30. However, international traders or Australian clients can still use leverage until 1:400. Being able to access your funds with no complication is another core of the trading and while choosing a broker. As a regulated broker Ava offers several convenient ways of depositing money into trading account: Credit and Debit Card, Wire Transfer, as well several forms of e-payment alike Skrill, Webmoney and Neteller (to all clients except EU & Australia residents). By the AvaTrade policy, minimum deposit by Card is $250 or $500 by the Bank wire transfer, yet you may need an even smaller amount, but check on the necessary margins and trading costs in order to open position. Smooth withdrawals are definitely crucial for any trader, thus AvaTrade understanding that point typically process requests within 1-2 business days and do not charge any withdrawal fee. It is a good point to us, yet note, that due to anti-money laundering regulations funds have to go strictly through the same source as the deposit was done. For instance, check out and compare AvaTrde fees to IG. Overall, AvaTrade by their expanded strategy and a certain way of dealing with market and clients gained a reliable and respected reputation. Ava flexibility in terms of platforms, currency pairs and a number of provided solutions is another key advantage to their positive side. So it becomes clear from numerous favors, that the broker is a good choice for beginning or veteran traders, as competitive conditions having all potential to turn into an exciting collaboration.